After a person is diagnosed for urinary incontinence, the treatment for elderly incontinence can include behavioral therapy, medications, medical devices, and surgery. For a majority of the people, it is 100 percent treatable. And most of the time, it’s a non-surgical treatment. Easyfit adult diapers and pull ups are best incontinence products available for people suffering from incontinence. Usually, it is the first line of treatment, which will often cure the incontinence. Treatment includes bladder training, scheduled bathroom trips, pelvic floor muscles exercises, and fluid and diet management. The best thing about behavioral therapies is that there are no side effects to it. And the response to the treatment is proportional to the efforts of a patient. Learning to delay urination by gradually increasing the time between bathroom trips. Double voiding technique: After urinating, the patient waits a few minutes, and then urinates again. This helps patient to empty his bladder completely. Scheduled bathroom trips- This is a very effective technique for patients with mobility issues or neurological disorders. Pelvic floor muscle exercises known as Kegels, are helpful in strengthening the muscles that help regulate urination. Usually patient needs to practice these exercises a few times a day, every day, for the rest of his life. Stopping them means the return of incontinence. It is important to consult a specialist for these exercises because it is important that Kegels exercise is done properly. Or one can also take help from the aid of biofeedback. Transducers, connected to a computer, are placed on the body of the patient, and lines on a video monitor shows when one is doing the exercises correctly. This is very helpful learning technique. 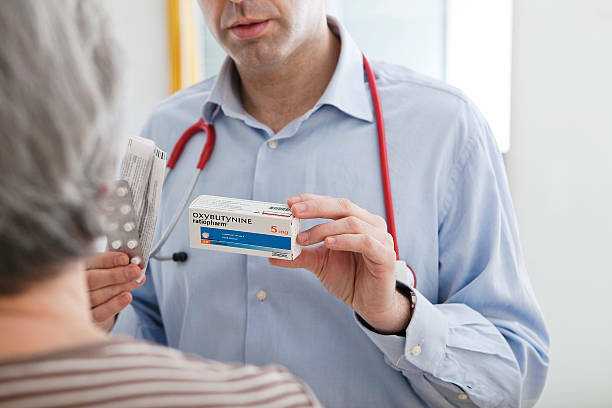 Medications are frequently used in combination with behavioral therapies to treat incontinence. Anticholinergic or Antispasmodic Drugs, Anticholinergic or Antispasmodic Drugs, and Antibiotics are used by the doctors. Never take these medicines on your own and always consult a doctor before use. Surgery is the last option used by doctors to treat incontinence when all other options have been tried. If a patient is diagnosed with incontinence then it is important to consult a doctor immediately. Never try to use any medicines or other treatments on your own.